Today, 10 states and Washington, DC have legalized marijuana, 22 states have decriminalized marijuana, and 33 states have passed medical marijuana laws. 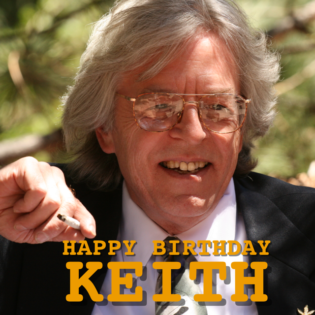 50 years ago, when Keith Stroup founded NORML, those numbers were all ZERO. This Thursday is Keith’s birthday and we are planning a special surprise for him – a birthday card with YOUR SIGNATURE! Click here to sign the card. For decades, he has been on the front line fighting for our freedoms and for the majority of that time, it has been an unpopular opinion. In late 1970, only 12% of the country supported legalizing marijuana; 88% were opposed to our goals. After decades of hard work by tens-of-thousands of committed supporters like you, together we have gradually won the hearts and minds of a majority of the public. Today, some two out of three adults nationwide support ending marijuana prohibition and establishing a regulated market where consumers can obtain marijuana in a safe and secure setting. We still have a long way to go but working together, we’ll get there. Be sure to share the card with your friends and family so that Keith knows we’re all rooting for him this coming year. But remember—it’s a surprise! Click here to sign the card now!